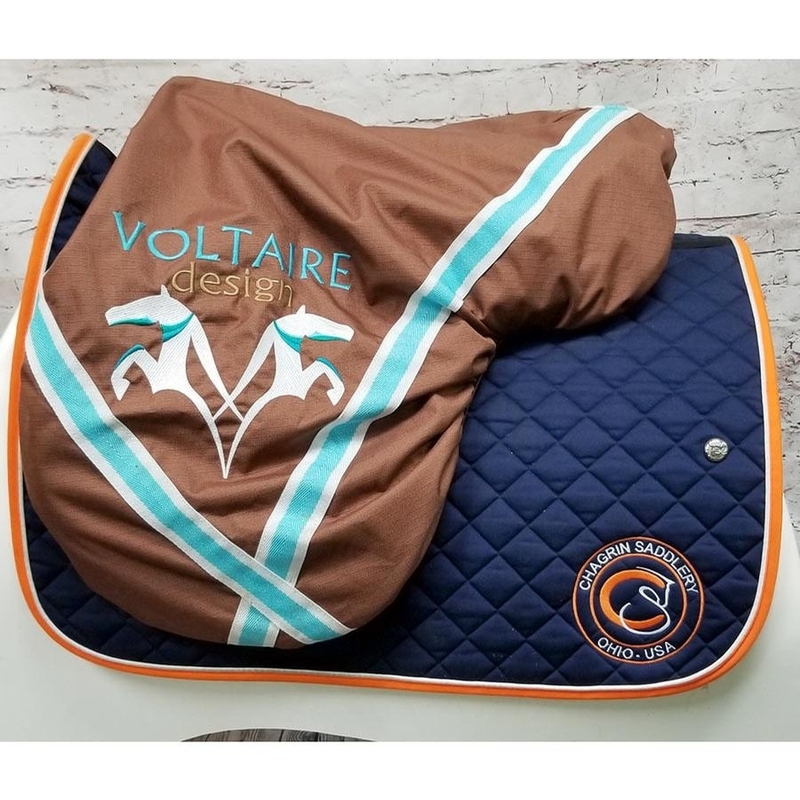 16 IN 2017 Voltaire Palm Beach in excellent condition. 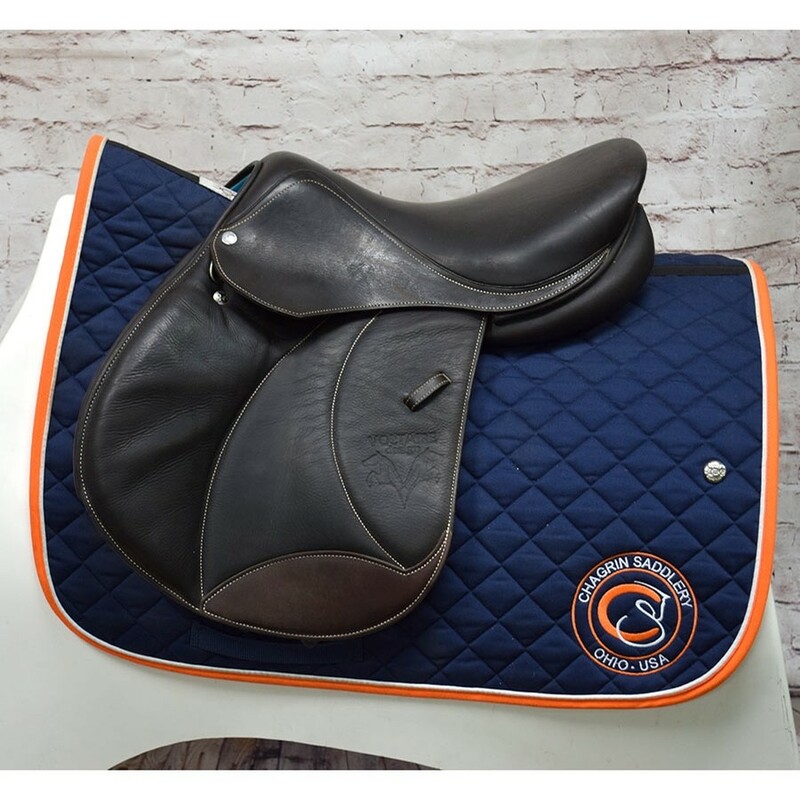 This premium French saddle is crafted of buffalo leather for extreme grip and durability. 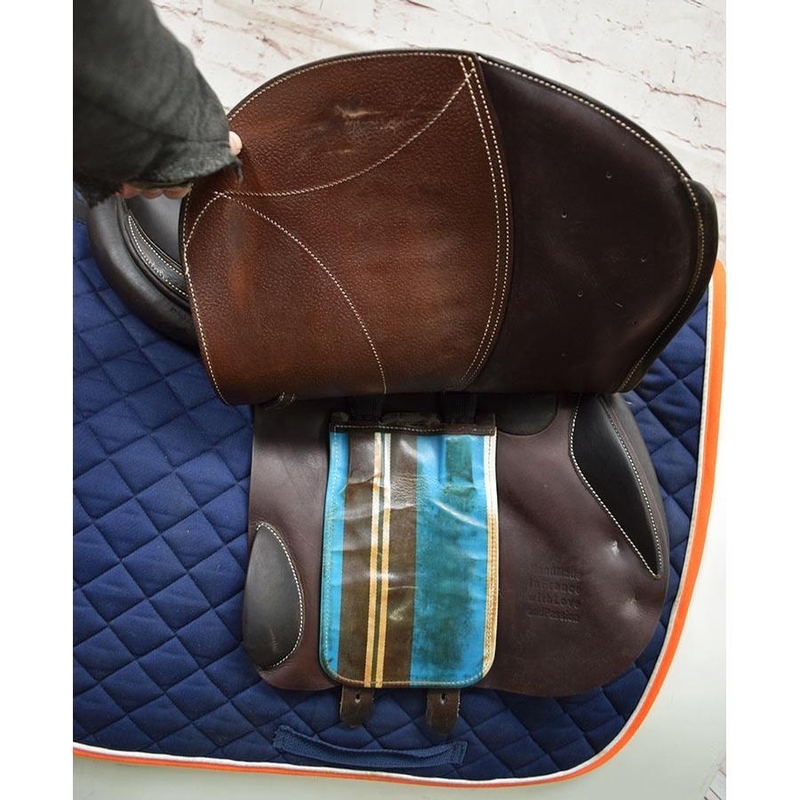 The flaps are short and forward in positioning (1A) with knee and thigh blocks for support. 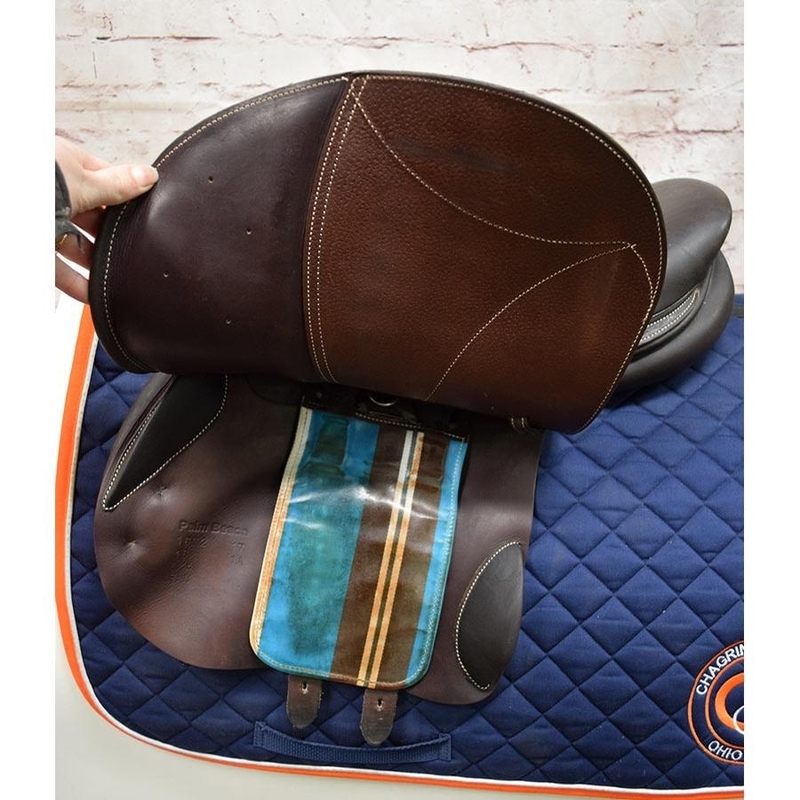 This saddle features Voltaire's "Second Skin" option which has an extremely thin sweat flap to reduce bulk between horse and rider. 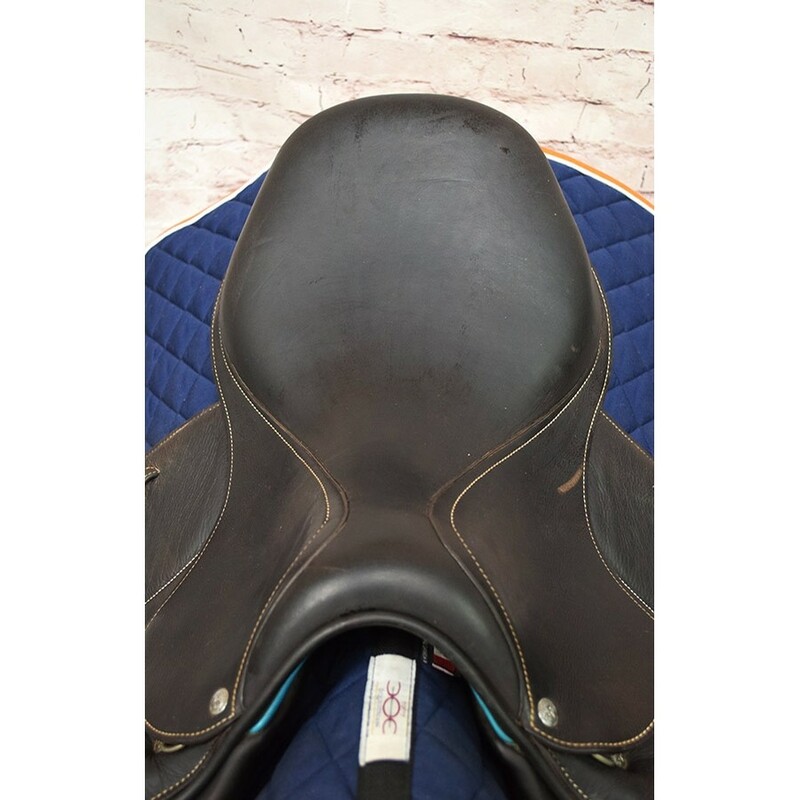 The seat is medium-deep with a medium twist. 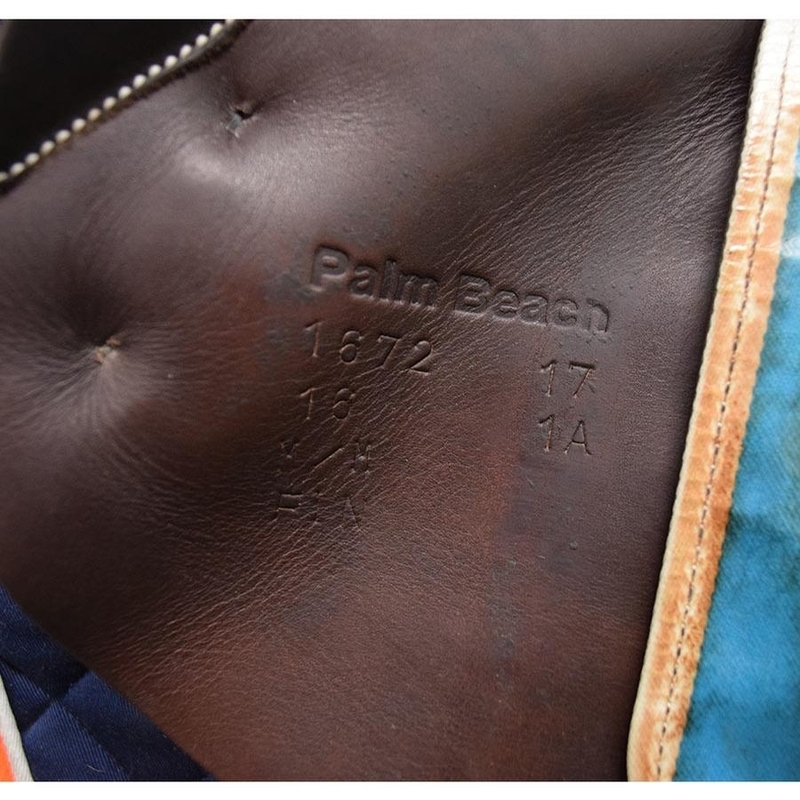 The tree measures wide. 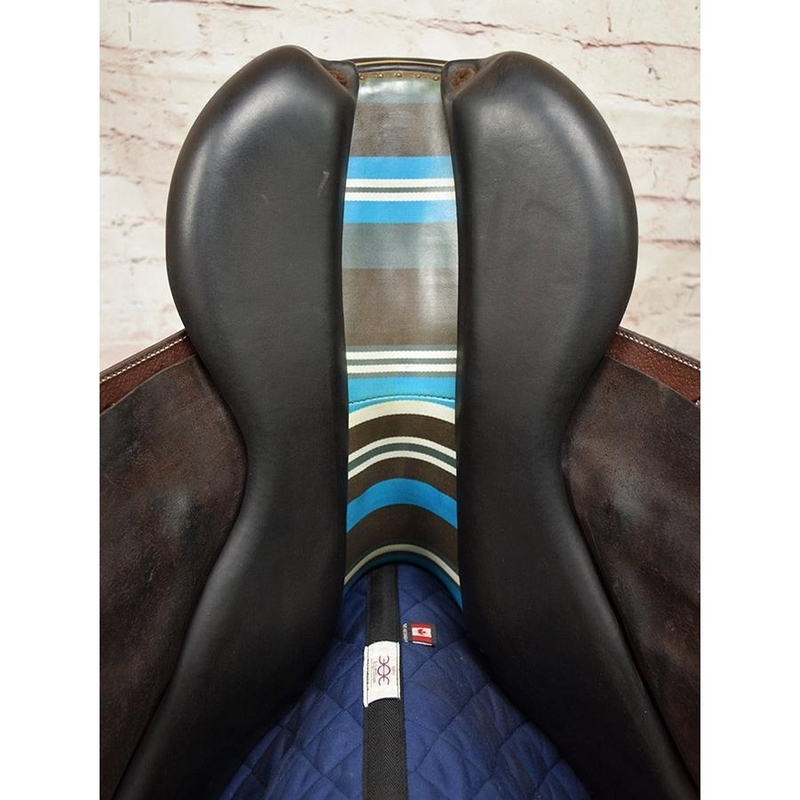 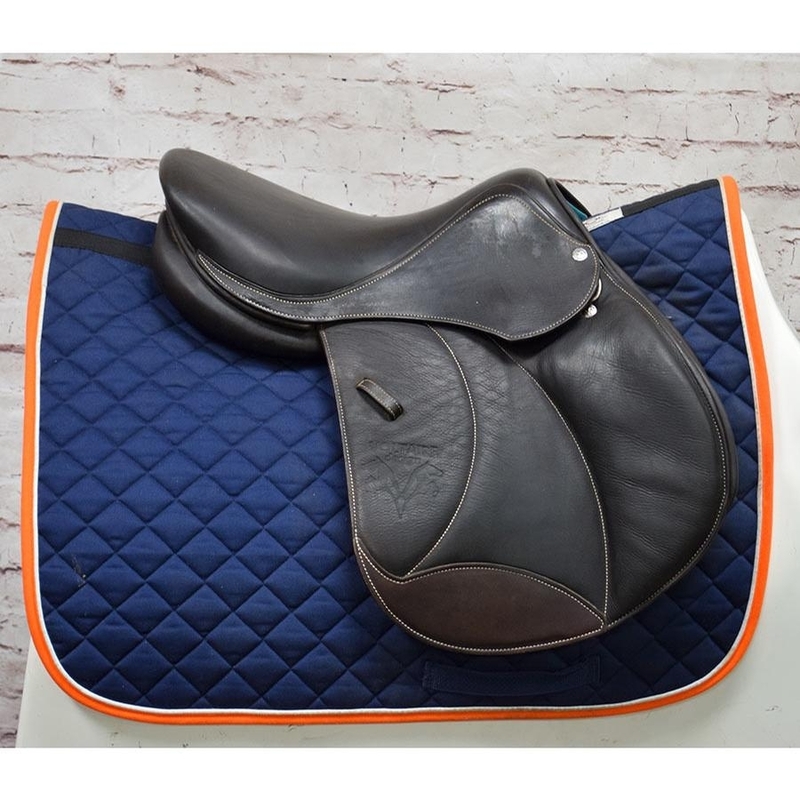 This saddle is sold with a matching Voltaire fleece-lined saddle cover.